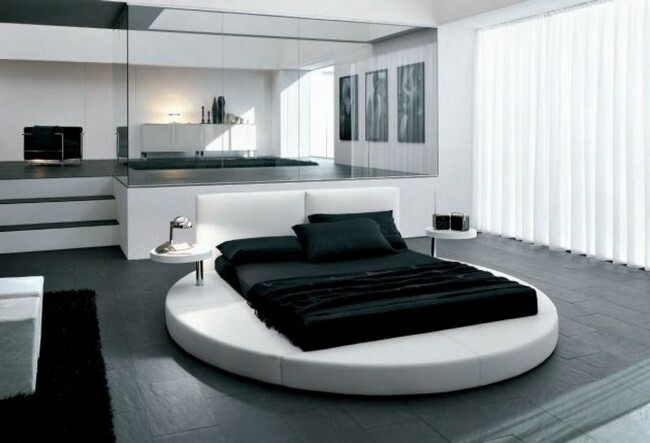 Usually, a black and white bedroom looks elegant even without complications in the design. 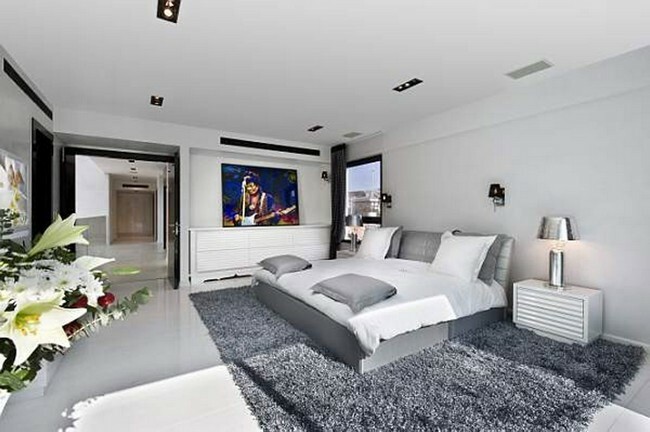 Often, you can use a simple black and white color palette and décor and have one major element of the room stand out distinctly, like the artistic drawing on the floor in the bedroom above. 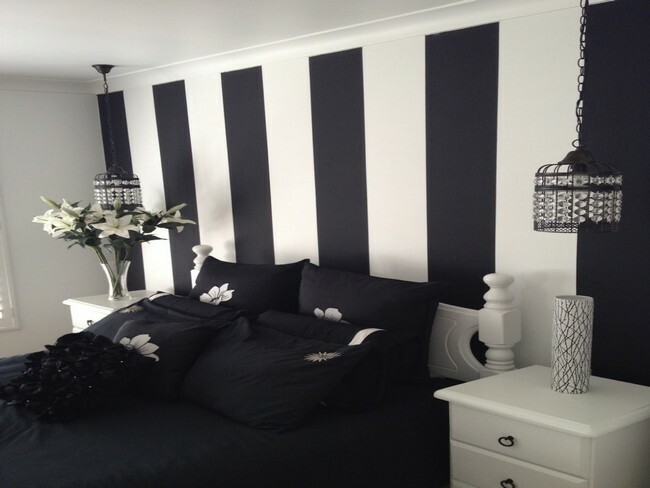 Use of black and white prints especially when it comes to bedding is a creative way to play with black and white colors while decorating your bedroom. Famed photographs, paintings and other pieces of art help draw the eye to the contrast between black and white, especially if black art is placed on a white wall and white art is placed on a dark wall. Here are some other headboard ideas that may come in handy when selecting a headboard for your bed. Inclusion of silver, brass or gold accent features, in particular, lighting fixtures, has the effect of making the bedroom appear elegant and sophisticated, without necessarily going through too much effort. Here is some inspiration for incorporating creative and ‘unusual’ ideas in your bedroom design. The white elements in the bedroom should be placed at a point where they are illuminated by light, to create a lively atmosphere. 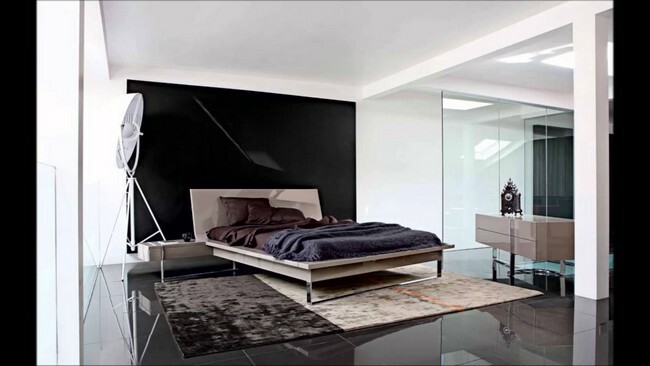 This bedroom appears spacious because of the minimalist design that steers clear of unnecessary clutter and the use of white as the main color, while black is used as an accent color. The use of white as a main color and black as an accent color is an important trick, especially in applying a black and white color scheme to a small bedroom, since it makes the room appear more spacious than it actually is. Here are some more tricks to make a small bedroom look larger. 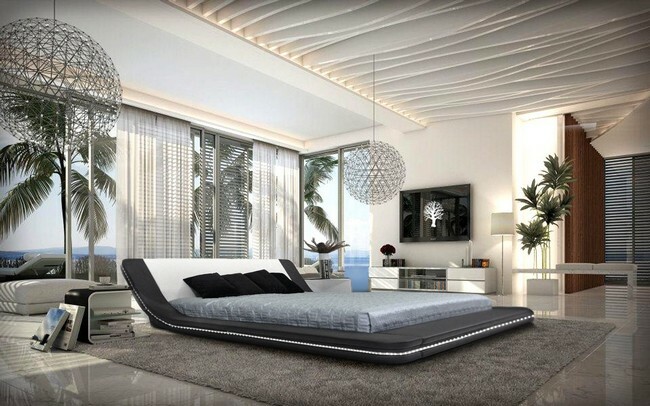 Alternatively, you can opt for an all-white bedroom theme and introduce black elements later on, through use of black accessories and décor items, like in this bedroom. 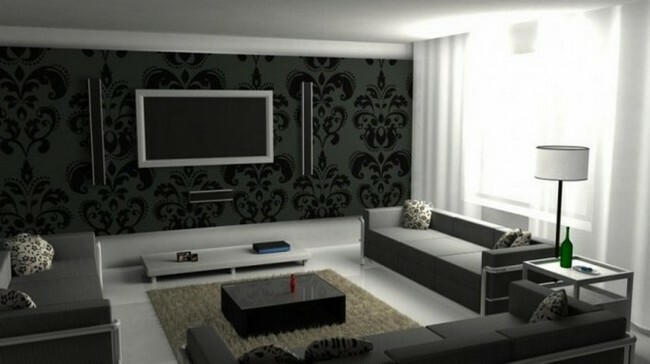 A black and white room can sometimes appear too dark, especially if the black elements outweigh the white elements. For this reason, it is important to put effort towards the lighting. This brightly-lit window with sheer white curtains and white drapes helps brighten up the otherwise dark room. If you would like to have an even balance of black and white across the bedroom but do not wish to have so much black color, you can substitute black with dark grey. 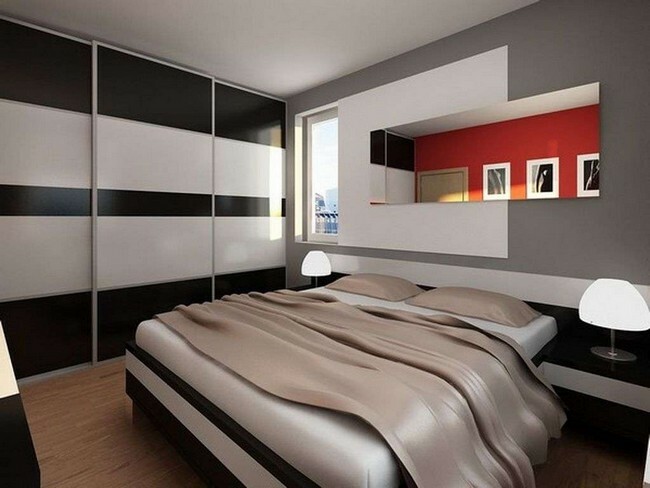 You don’t have to limit yourself to white and black when choosing a color scheme for your bedroom. As you will see, white and blue works pretty well too.